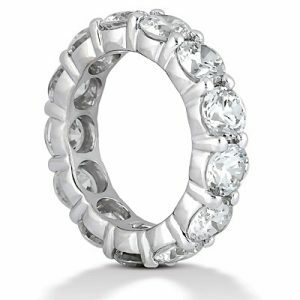 Expressing your love with an eternity band can be one of the most meaningful announcements of love. 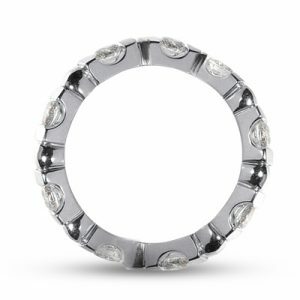 The bright sparkle of identically cut diamonds – each catching and reflecting the light from all angles – makes for a true statement jewelry piece. 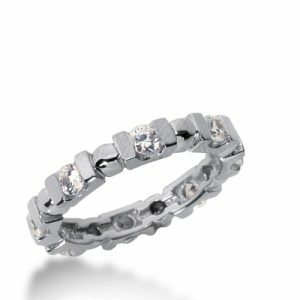 Eternity diamond rings offer a beautiful representation of your everlasting love. 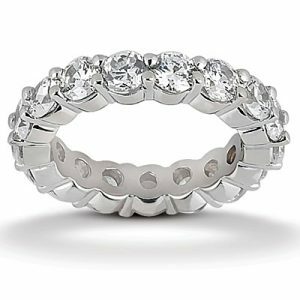 Eternal as a diamond this classical wedding band is crafted to last forever. 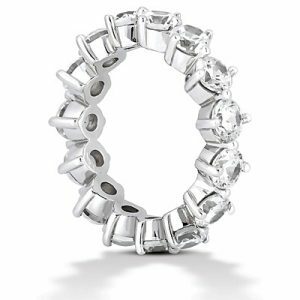 The Round diamonds attached together produces flowing sensation of beautiful shine encircling the finger. 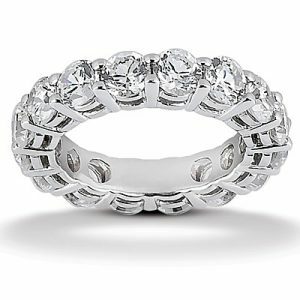 This is the ring to cherish for a lifetime! 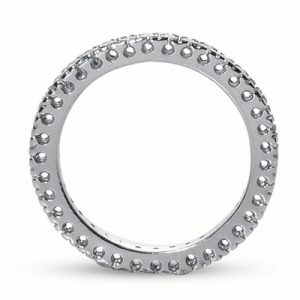 This astonishing eternity band of Round diamonds circles the finger in continuous wave of shine. 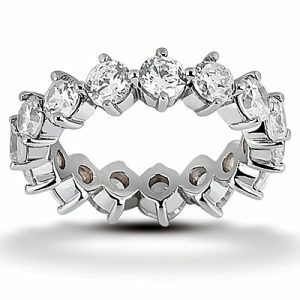 Its all about sheer diamond crystals attached together in insensible four prongs setting. 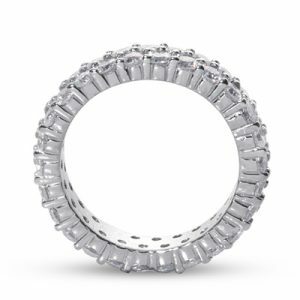 Modern design of this splendid eternity band is defiantly eye catching. 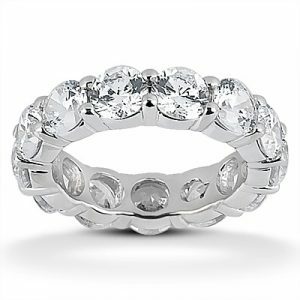 Gorgeous Round cut diamonds goes all the way around the finger. 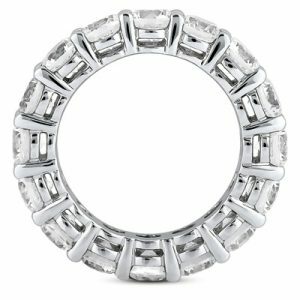 Repetitive rhythmic structure of elements creates dynamic futuristic look of the band making it the best choice for a modern bride. 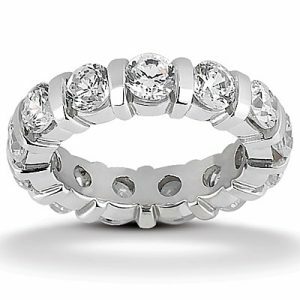 Eternal as a diamond this classical wedding band is crafted to last forever. 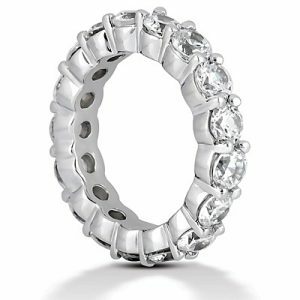 The Round diamonds attached together produces flowing sensation of beautiful shine encircling the finger. 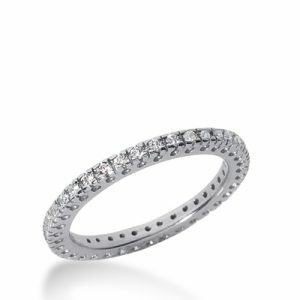 The glorious eternity band focused on romantic traditionalism with elaborated arrangement of two full rows of Round diamonds. 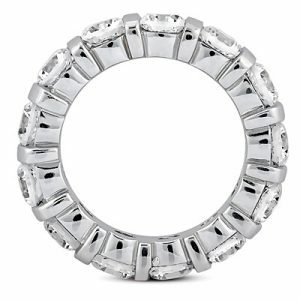 Modern design of this terrific eternity band is amazing. 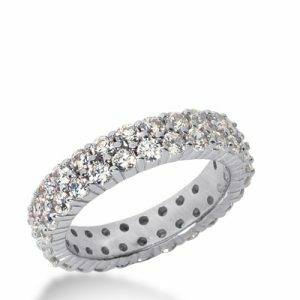 Its ergonomic contemporary lines emphasize gorgeous Round diamonds goes all the way around the finger. Dynamic and futuristic look makes it the best choice for a modern bride.